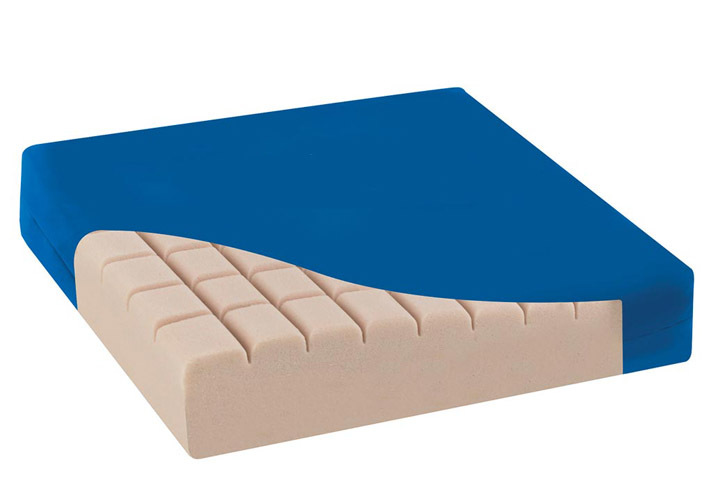 Contoured cushion surface provides a greater weight distribution and a more comfortable support for the patient. Internal air channels in the foam’s surface help to reduce the build up of heat and moisture on the skin. The cushion cover can be wiped down or completely removed and laundered up to 95°C to aid in decontamination protocol.